ECCN (Export Control Commodity Number) Number (sometimes required on international shipping documentation) that indicates the commodities subject to U.S. Department of Commerce export controls. EIN (Exporter Identification Number) An Employer's IRS Identification Number (needed on some international shipping documentation) assigned by the Government when exporting goods from the United States. (U.S. Census) This term is used by the U.S. Bureau of the Census to describe the foreign trade statistics information (data) required to be reported by a USPPI or its agent via AES under the U.S. Foreign Trade Statistics Regulations (FTR). "EEI" is somewhat synonymous with "AES record" to describe the data required to electronically file an SED. The term "EEI" was adopted in 2005 to clearly differentiate the electronic reporting of this information from the use of a paper "Shipper's Export Declaration" (SED) form, which, as of September 30, 2008, is no longer accepted. In addition to collecting EEI for foreign trade statistical purposes, AES is also used for U.S. export control enforcement purposes by CBP at the time of export and as the system for acquiring Advance Electronic Information for use in cargo security screening. Embargo The prohibition of accepting freight at origin because of a crisis at the point of destination. Entry Summary Issued by: Customs broker on behalf of importer. Purpose: Customs Form 7501 specifies all shipment particulars that allow U.S. Customs to assess and collect import duties. Highly standardized to allow computer processing. Includes Harmonized Code number, broker identification number, and auxiliary fees. Broker figures all assessments, then submits form with supporting documents and payment. Customs later either accepts or modifies entry and payment. Entry/Immediate Delivery Customs Form CF3461 allows the importer or Customs Broker to take immediate delivery of imported goods prior to payment of duties and processing of an Entry Summary for most types of merchandise. The importer has ten days to file the Entry Summary and pay the appropriate duties. ETD Estimated Time of Departure. EX DEC Shipper's Export Declaration. Export Airbill A non-negotiable document prepared by the shipper which includes pertinent information. For example, Shipper and consignee name and address, Account Number, brief description of goods, etc. Export Broker An individual or organization that unites buyer and broker for a fee. Export License A Government authorization which allows a shipper to export specified goods to designated countries. Export Trading Company A firm that buys domestic products for sale overseas. 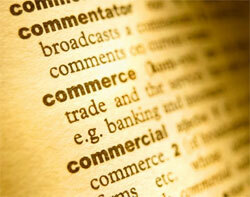 A trading company takes title to the goods; an export-management company usually does not. Exporter The person sending goods produced in one country to another country. Export Management Company A private firm that serves as the export department for several manufacturers, soliciting and transacting export business on behalf of it s clients in return for a commission, salary, or retainer plus commission. Express B/L Ocean Bill of Lading issued by the steamship line when cargo is consigned directly to the customer. Cargo is automatically released. No originals are issued.